Picking up from where Grounds for Contesting a Will (Pt. 1) left off, below, we continue our discussion regarding how people can legally challenge a will in order to try to get part or all of it rendered void. When you need assistance contesting a will or developing air-tight will, contact the Denver will and estate planning lawyers at JR Phillips & Associates. Did not comprehend what it meant to develop a will. In many cases, mental incapacity can mean that the decedent was battling some type of impairment like Alzheimer’s disease or dementia. It could also specifically mean that a person was legally insane or under the influence of powerful narcotics when the will was developed. Of all the grounds for contesting a will, claims of mental incapacity are usually the most successful, especially when they are initiated by a surviving spouse. You must be an “interested party” in order to contest a will. In other words, you have to be a beneficiary of the current will or some previous version of the will (and not just some friend or acquaintance of the decedent who is not mentioned whatsoever in any version of the will). You must have one of the grounds discussed thus far in order to initiate will contest proceedings. In other words, you can’t simply contest a will because you think it’s unfair or you don’t like the way it distributes a decedent’s assets. Do you need help contesting a will? Or do you need assistance developing a will that will not leave any room for challenges after your passing? 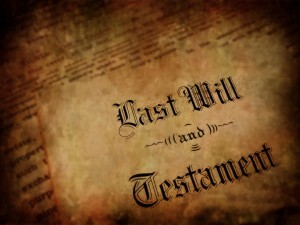 If so, you can turn to the will contest and estate planning lawyers at JR Phillips & Associates, PC. We provide a thoughtful, comprehensive approach to our clients’ various legal needs, and we can help them effective contest wills that may be fraudulent or invalid. Our goal is to help our clients efficiently navigate the complexities of the law so they can develop effective, prudent solutions that will protect them, their assets and their families in the future.